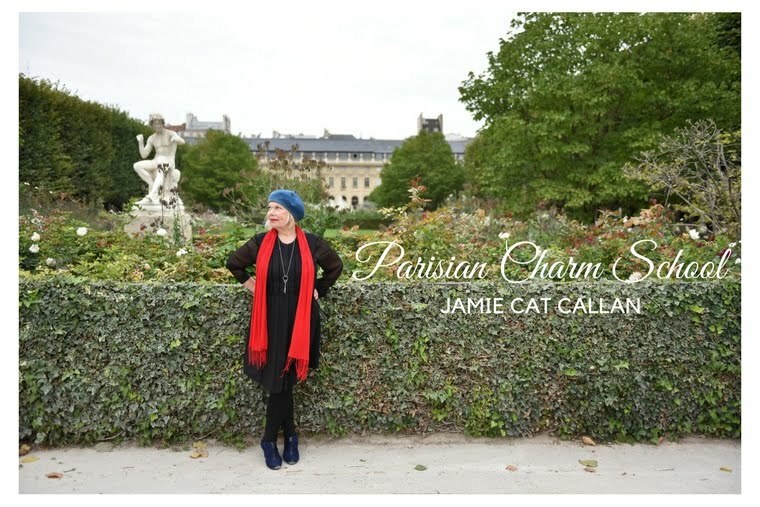 Jamie Cat Callan: Au Revoir, Auvillar! Truth be told, I'm back in the United States--but only in body. My spirit is still in France. Still in Auvillar, in fact. I hear it's cold and rainy at the Moulen Nef these days. Cheryl says it's awfully quiet without the fellows--that is, me and a wonderful writer by the name of Denise Emanuel Clemen (please look at her gorgeous blog, "My French Underpants" for more French adventures!) Paris was wonderful--more on that in an upcoming post, but in the meantime, I just wanted to share a few of my favorite memories--The River Garronne at sunset, Galerie Lafayette in Toulouse, and me, sitting in a cafe on a sunny day, wearing my French scarf. Love your photo and your blog. Just back from Rome and feeling like I want to be back in Trastevere at Good Cafe writing you. or at one of the many incredible restaurants or museums I visited.